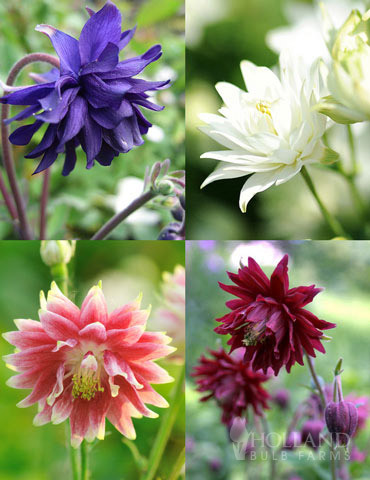 Want to fill your summer garden full of various hues of Columbine Aquilegia? Try this mixed package to bring delight in shades of blues, reds, pinks and whites - an instant hit for the neighbors and hummingbirds and butterflies with its nectar filled tips. Plant this long lasting blooming plant so it receives morning sun and afternoon shade. Received the Barlow Columbine bare roots; one had expired; the other four were good. These were planted within two days of receiving them. They have sprouted some new growth and seem to be doing well.